Home → Current News → Annual Session Poster Symposium Winner Presents in Hawaii…and Wins! Annual Session Poster Symposium Winner Presents in Hawaii…and Wins! 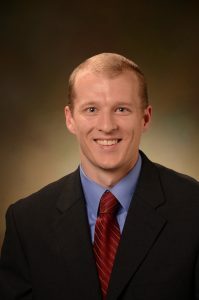 Dr. Bradley Wills, who originally received first place at the Medical Association’s Second Annual Poster Symposium in April for his poster entitled Outcomes with Overlapping Surgery at a Large Academic Medical Center, presented his research poster at the 2017 AMA Interim Meeting in Honolulu in November and won the Resident-Fellow Section Division for Clinical Medicine. At the Medical Association’s Annual Meeting, Dr. Wills’ poster was one of 32 entries from the Medical Student and Resident-Fellow Sections. All medical schools and many residency programs participated in this year’s program. Dr. Wills, an orthopaedic surgery resident at UAB, received $300 for his first place win, as well as the opportunity to present at the AMA Interim Meeting. The Medical Association is preparing now for the Third Annual Poster Symposium as part of the Annual Meeting in April 2018. More details will be available soon.